It is my pleasure to introduce to you D.M. 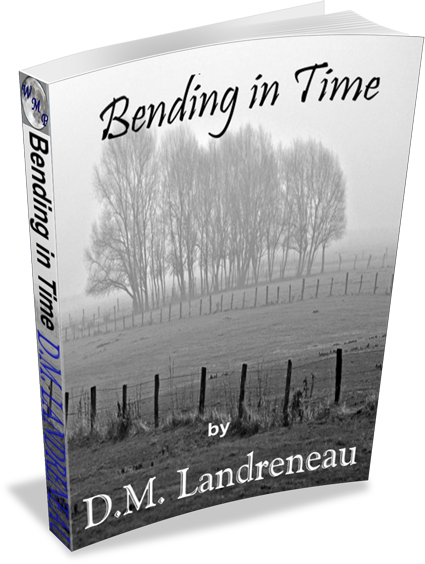 Landreneau, poet extraordinaire and Author of new release Bending in Time. Ms. Landreneau is most gifted with words. I discovered her only recently and now wonder how I ever lived without her. She feeds my soul. Ms. Landreneau took a few minutes to answer some burning questions for us! Tell me a bit about the contents of your new book Bending in Time. Bending in Time is my first published book of poetry and it is a collection of poems inspired by various emotions and states of the mind — from my perspective. They encompass the many facets of love: joy, pain, sensuality, sexuality, hatred, longing, desperation…I could go on and on. I don’t write from the perspective of anyone other than myself and these poems reflect what I have experienced, thus far. I share them with my readers in the hope that they connect with me through these shared feelings and emotions. I want them to be able to identify with me and draw out whatever they might need, for themselves, from my words. What is your writing process and what inspires you? I don’t know that my writing process is all that different from any other writer. At times I am inspired by a piece of music, a situation I’m in at the moment, or perhaps one I’ve experienced in my past. But for the most part, I get flashes of images…scenes – if you will, and I immediately have to write the words down. When writing in this way, I can usually write a poem in 10-15 minutes. When I am seriously emotionally involved in a poem, it can take a few minutes, days or weeks. When the emotions are intense, I simply MUST write. It’s cathartic. I have to get the emotion out of myself and onto paper. Love inspires me. Corny as it may sound, it just does. I think it’s evident in these poems, as they run the gamut from love experienced between a man and a woman, a grandfather and granddaughter, new love, dying love, unrequited love, and even love that is still to come under the guise of fate. Do you feel like your writing evolves and did creating this book inspire any evolution? My writing continues to evolve today, as I write based on what I experience. As my life experiences grow and change, so will my writing—at least that is my hope. I guard against falling into a writing rut, writing the same thing over and over, but just changing out the adjectives. I want to write words that move people to tears, to act, to love, to leave, and to remember. In Bending in Time, the reader, more or less, has a front row seat into some of my real life experiences. What do you feel is an important tip for upcoming writers? I think new writers, most especially young adults, need to write as a way of preserving their life experiences. Every facet they can capture can help them relive those moments later. One day, when they’re ready, they can revisit and rewrite the experience with a more learned and mature perspective. Writing in this way can heal and refresh the soul. Do you have any other creative outlets and what is your next project? Great question! I do not paint. I do not play or compose music. I’m not a big crafter or scrap-booker, but I do love to bake bread—from scratch. I enjoy the whole process…mixing, kneading, shaping, waiting, waiting, waiting, and then baking. The smell that fills my house is so nostalgic and I can’t help but be transported back to childhood. I don’t know if it counts as a ‘creative outlet,’ but it is certainly something I do to relax and rejuvenate my mind. My next project is a second collection of poems based on my childhood experiences, as seen through adult eyes. It will be a much darker, eye-opening collection. I plan to reveal more of myself in the second book, as I believe that so much of what I experienced during my childhood and adolescence, shaped me into the woman I am today. I look forward to opening up a bit more with my readers. 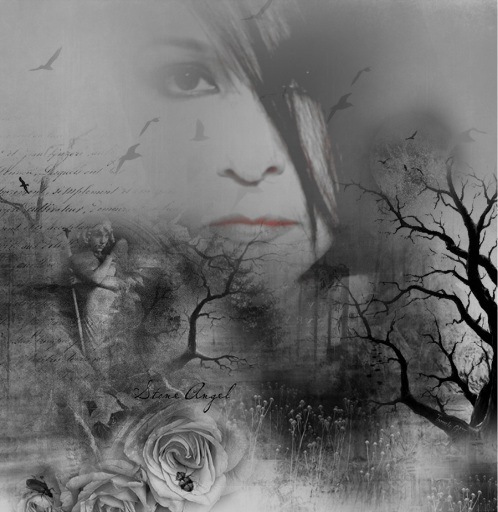 I am also ‘nursing’ a horror novel, visiting it periodically when I am feeling particularly dark and lastly, I have a screenplay that is approximately ¾ of the way complete. It is a classic western romance, as I think every woman holds a secret fantasy about a handsome cowboy, somewhere out west. If you know me and my work well, then you can safely bet it is full of heated passion and intense drama. I am undecided as to its ending, which is why it has been on the back-burner for a while. Take a look at the Friends & Authors page to find more about this wonderful writer. The book will be available at Barnes & Noble, Amazon, & Fictionwise in January. Purchase Bending in Time today! Here is a beautiful excerpt from her book. You won’t be disappointed! Will this world cease to spin? Will trees still sway in gentle breezes? Oceans ebb and flow – unending? Sea shells tumble in the sand at the water’s edge? Will clouds drift in skies toward some distant place? Will butterflies dip and rise in the warmth of the sun? Laughter still ring out from giggling children? Tall grasses bend to rushing prairie winds? Will raindrops beat themselves upon the earth? Will flowers live and die in nature’s perfect rhythm? Rocks careen from their mountainside dwellings? Rivers roll and twist over boulders, racing to seas? Will I be able to swallow air into my lungs? Will my heart still beat without yours to set the pace? Will my eyes ever cease their falling tears? This entry was posted in Guests, Poetry and tagged Author, Bending in Time, Blog, blogging, Book, D.M. Landreneau, ebook, Friends, Guest, journal, love, moments, passion, poetry, Twitter, writing. Bookmark the permalink. Thoughts that torture our mortal consciousness. Very adeptly conveyed by a poet with obvious talent. Good looking out, Jess. Thanks for introducing me to yet another passionate and well written poet. Recently connected with @poesravenlady. So excited for her and can’t wait to get the book. You’re such an amazing advocate for other writers, Jess.